We can all use a little more kindness in our lives right? Personally, I think one of the best ways to make that happen is to decide to be intentional about spreading it ourselves. Be the change we want to see. So it was a no-brainer for me to say yes to partnering with BYUtv and Random Acts on the Printable Kindness Cards Campaign & Giveaway they’re currently running. 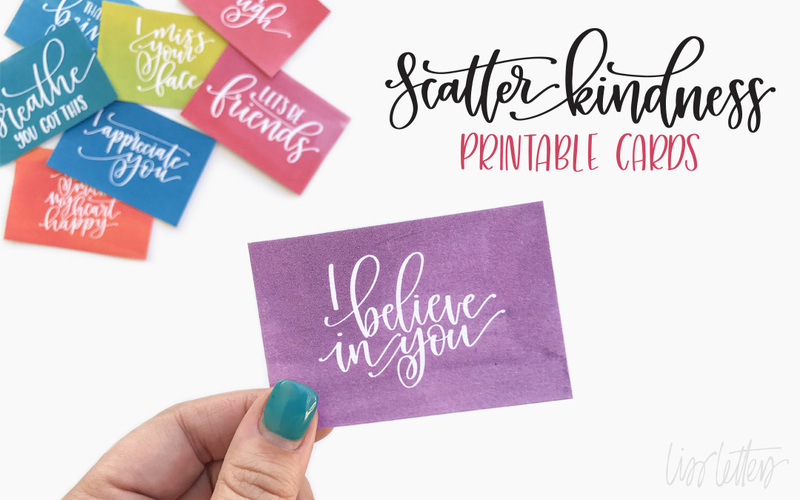 Not only is there a super fun giveaway for you to enter (US only), but I’ve created a set of Scatter Kindness printable cards for you to download and print – and they’re totally free and available worldwide! Random Acts (www.randomactstv.com) is a hidden camera show that’s all about random acts of kindness. The hosts catch people doing good and reward them for it – it’s like a prank show in reverse, how cool is that! Episode 7 aired last week and Episode 8 airs this Monday at 7:30 PM MT. You can watch it on the BYUtv apps (Roku, Android, iOS, Apple TV, etc.,) or streaming at www.BYUtv.org. This season, to spread the kindness beyond the screen, they’re running a Printable Kindness Cards Campaign & Giveaway. This week, they asked me to create a free printable to share with you – and I got to choose a fun prize for the giveaway! 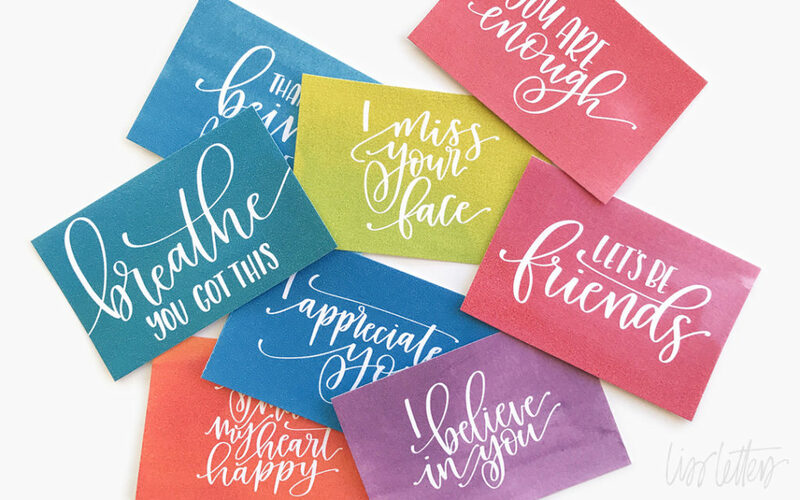 I’ve created a set of 8 small Scatter Kindness cards – vibrant watercolour + hand-lettering on the front, blank on the back. Your challenge is to print them out, then give them all away – Scatter Kindness wherever you go! 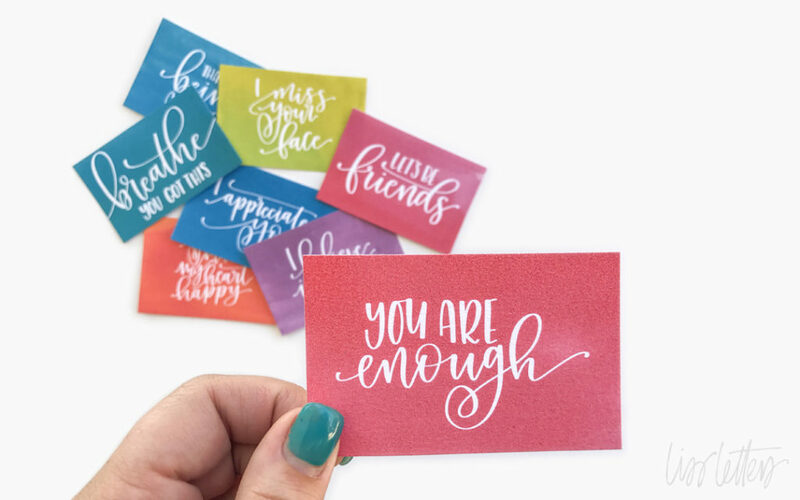 (Yeah, it’s cheesy, but I LOVE it) Let your kids share them with friends (or teachers), pop them in a locker or a textbook, write a little note on the back, or just give it anonymously. Leave one in a restroom for the person who comes in after you (maybe not “Let’s be friends…. that could be weird), or pop one in the mail to someone you haven’t seen in a while. Whatever you do with them, have fun, and know that you’ll be brightening someone else’s world. The competition is only open to those in the US, full terms and conditions on the entry form, but the download is available to all regardless of whether you enter the competition!